I am the audience these remakes are intended for. I love replaying old games that I loved and had excellent times with, and I’m excited for both of these. The Oddworld games are fun and challenging and I had a great time playing through them with my friend one summer in middle school (hopefully, there will be online co-op). 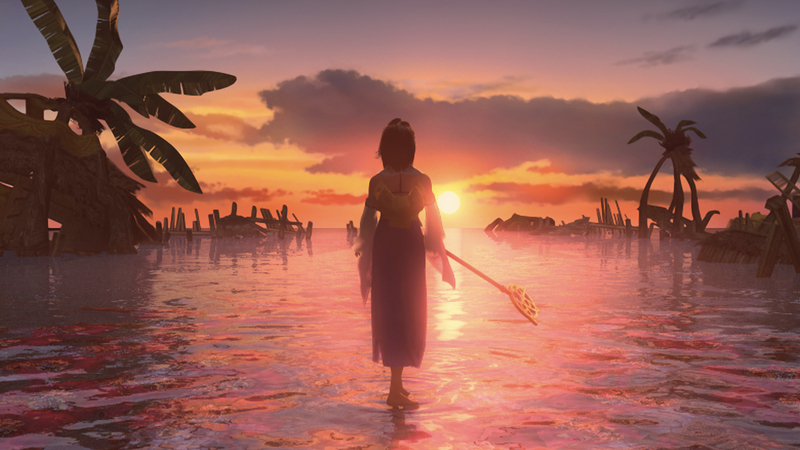 Final Fantasy X and X-2 aren’t my absolute favorite Fantasy games, but I’m excited to play them again, nonetheless. I own a Japanese Wii U, so I’m pretty excited about getting this game as soon as it’s finished. I loved the first one with its ridiculously over the top sexuality and crazy Devil May Cry gameplay. All I can hope is that I’ll understand what’s going on when I get the next one. I keep inwardly debating about whether this game should actually be my number one. I love South Park: it’s got some of the best writers and storytellers in Matt Stone and Trey Parker and they’ve shown time and time again that they are not only potty-mouthed and infantile but incredibly observant, deeply sensitive satirists. I have read little of the available news about The Stick of Truth so I have no idea what it's about, but damn am I excited for it, anyway. Season 1 is one of the best experiences I’ve had playing games. The “game” itself is slow and easy and ridiculous when you fail because the cursor moves too slowly for you to select the right option, but the story is impeccable. Like the rest of The Walking Dead universe, it has its problems, but Lee and Clementine’s relationship will survive the test of time. I just hope Season 2 can keep pace. I was mightily dismayed when I learned Mega Man Legends 3 was cancelled and that Capcom were such dicks that they cancelled it even when Inafune agreed to finish it (that game was literally the reason I bought a 3DS – yep, I was an Ambassador). This is not and will not be that game. I can only hope that a successful Mighty No. 9 might possibly open the door to Keiji Inafune making another game like Mega Man Legends. Plus, I like classic Mega Man, too. So here’s hoping.